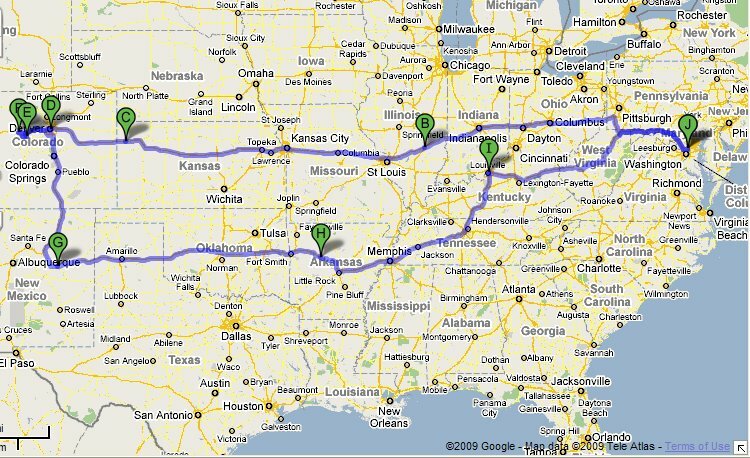 It was now the final leg of our journey – which consists of a 9 hour road trip from Louisville, KY to Silver Spring, MD. 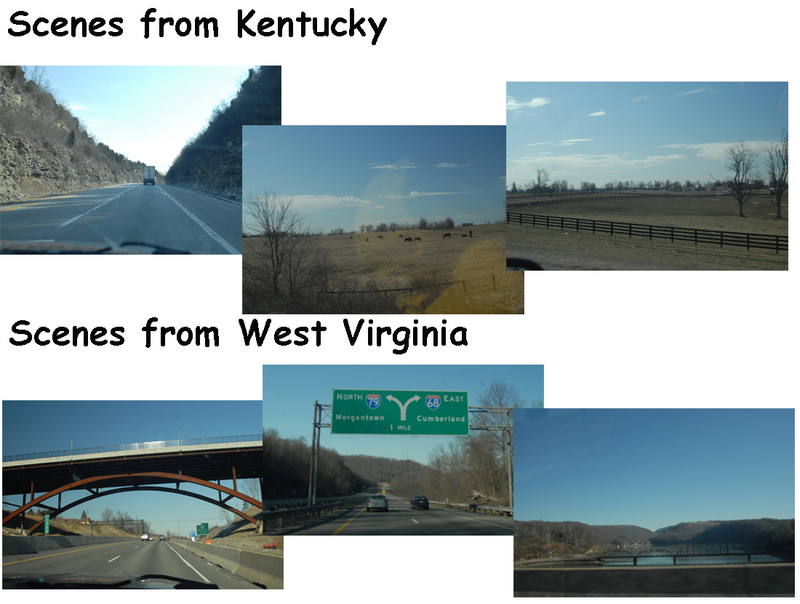 As we made our way out of Kentucky, into West Virginia, we were back on familiar state territory. No need to hula in WV, as the state hula dance was completed on the outbound leg. Instead, we buzzed up to Charleston WV. I was hoping our luck in finding a distinctive spot for lunch and coffee, would prevail. I googled “charleston wv coffee shop” – and found what appeared to be a downtown location called the “Town Square”. The name sounded right – so we headed for the much anticipated coffee shop. It turned out that the “Town Square” was your typical suburbia mall…located in downtown Charleston. No coffee either. Ugh. We wasted no time in departing from Charleston. As we crossed the state line into Maryland, with 2 1/2 hours of driving left, there was a moment of sadness that our incredibly cool road trip was about to end. We extended the trip slightly with a stop at the Maryland Welcome Center – so that I could officially hula in a Maryland rest stop. The backdrop for hulamania turned out to be a stunning view over the Youghiogheny (try pronouncing that!) River and Resevoir…which ultimately dumps into the Gulf of Mexico. If it wasn’t for the setting sun, and knowledge that we would soon be driving in darkness, we could have easily stared at this picturesque overlook for hours. All in our own back yard of Maryland. 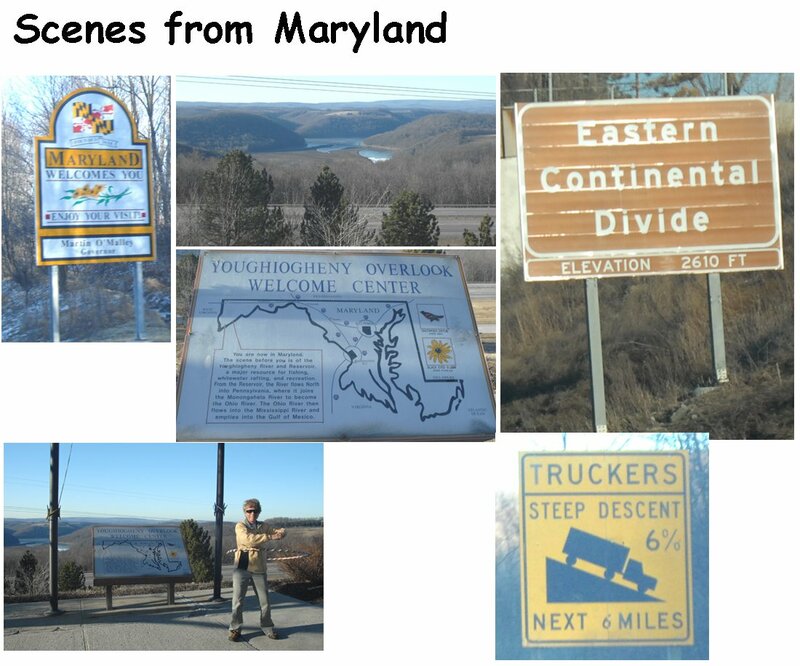 The mountains of western Maryland along the Eastern Continental Divide share some similarities with those in the Rockies. Steep grades and scary trucks on the descents. While the maximum elevation in Maryland is around 3000′ feet (and the Rockies are at 14000+), 8 % grades are common in both mountain chains. We had some spectacular views, and appreciated not having to drive the mountains thru snow squalls. We arrived in Silver Spring at 7:30PM, to our cat Soxy – who was practically jumping out of her skin with excitement to see us – and a moment of reflection. -next road trip: bike ride along old historic I-66???? Road trip highlights: Every day was magic. Previous PostLewis & Clark…linger in Louisville, KYNext PostSkating meets Hula!